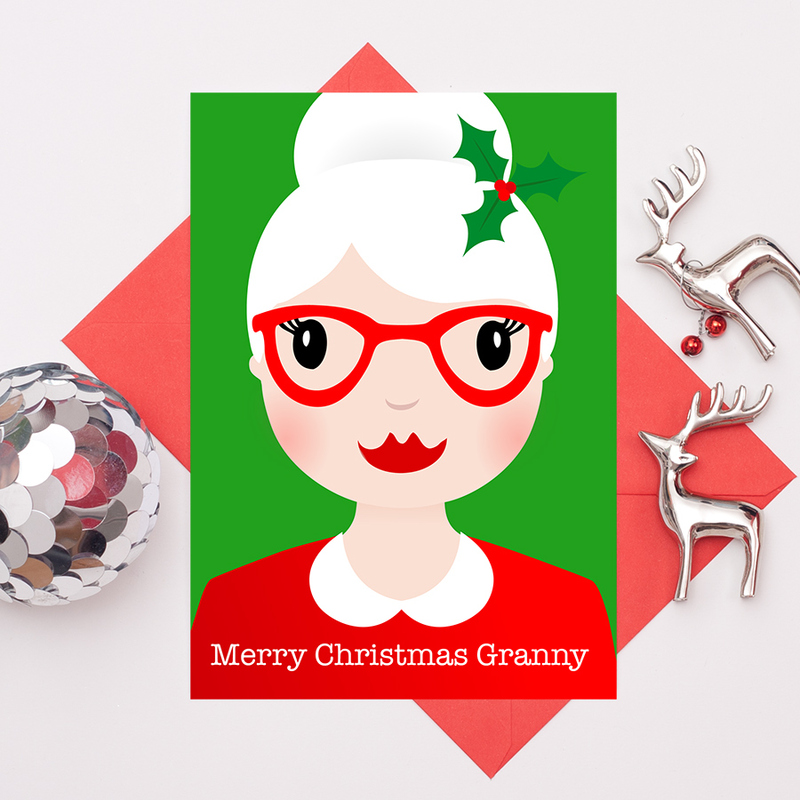 This lovely Mrs Claus character will definitely send some Christmas cheer to someone special at this festive time of year. A gorgeous Christmas card for kids or adults; great for your daughter, sister, mum or grandma. The design features a jolly looking, glasses wearing Mrs Claus, in front of a Christmassy green background, with the text ‘Merry Christmas’. The card is available in A5 size and also A6 size and is blank inside for your own special message. The A5 card (only) can be personalised, you can add any name / relative name along the bottom of the card. Enter the name / relative name you would like on this card. Be the first to review “Mrs Claus Christmas Card” Click here to cancel reply.